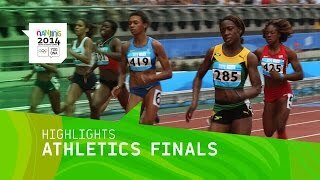 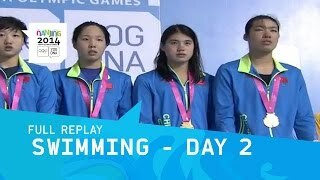 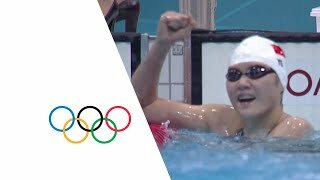 Highlights from Day 2's Swimming as medals were decided the Men's, Women's and Mixed events at the Nanjing 2014 Youth Olympic Games. 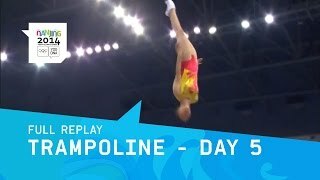 Don’t miss a single sport! 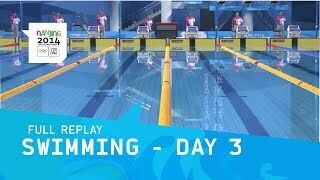 Find the FULL live coverage of the Youth Olympic Games with over 10 channels available on http://www.olympic.tv or by downloading the Olympic TV App for iOS (http://bit.ly/1BfXiZX) and Android (http://bit.ly/1oPIYSV)!